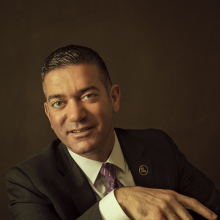 Michael Hecht is president and CEO of Greater New Orleans, Inc., the economic development agency for southeast Louisiana. GNO, Inc.'s mission is to create a region where our kids can stay and prosper. Under Hecht's leadership, GNO, Inc. was recently named a Top Economic Development Organization in the United States (one of 11 of 2,300) by Site Selection Magazine. Before coming to GNO, Inc. Hecht led the quarter-billion dollar Katrina Small Business Recovery Program for the state of Louisiana. Before making his way back to Louisiana, Hecht worked for Mayor Michael Bloomberg in New York City, running the post-9/11 small business program. Hecht's entrepreneurial experience includes co-founding a conglomerate of restaurant ventures, including Foreign Cinema, named Restaurant of the Year in San Francisco in 2000. He began his career as a strategic management consultant in the U.S., Canada, Europe and Australia. Hecht holds an MBA from Stanford University's Graduate School of Business and an undergraduate degree from Yale University. Recently, Hecht has been recognized as One of the Ten People Who Made a Difference in the South, one of the 20 Business Icons of the Tricentennial, and one of the Top 50 Economic Developers in North America. With deep family roots in Louisiana, Hecht now lives in New Orleans with his wife, Marlene, an ESL professor at Delgado, and his two sons, Dexter and Kaj ("Kī").